Improv from two killer teams. You may have seen Essence perform at our Assembly on April 7th. We are so excited to have them back doing their thing on Friday night. Joining the ladies of Essence is one of our own home-grown teams, Daddy’s Science Money. Essence Improv consists of eight very talented and funny African American female improvisers in the Los Angeles Area and features Ashleigh Crystal Hairston, Kirby Howell-Baptiste, Aliza Pearl, Markeia McCarty, Diona Robin Reasonover, Licia Shearer and Genetra Tull. Daddy’s Science Money is a group of bright-eyed buds who grew up in The Ruby school of improv. They’re fast, they’re fun, they’re pure spontaneity (or they’ll go crazy chasing after it). 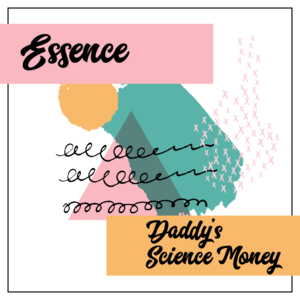 Daddy’s Science Money features Jen Kleinrock, Lauren Pence, Patrick Ehlers, Jewell Karinen, Dave Epstein, Aristotle Hren-Boulis, David Vasileff, and Ricky Mehigh.